How Strong Is the Link Between Bullying and Suicide? There are countless stories about bullied teens taking their own lives. Clearly, there is a link between bullying and suicide. But is it as simple as — bullying causes kids to commit suicide? Most mental health experts would argue that claiming bullying is the only cause of suicide is much too simplistic. Bullying aggravates depression and increases suicide risk and the seriousness of the issue shouldn’t be minimized. But, failing to look at the other contributing factors related to suicide is a mistake. Suicide is a complex issue that also is impacted by depression, feelings of hopelessness, lack of self-esteem, family-life issues and more. Still, because bullying can be a catalyst for suicide, its significance should not be overlooked. When kids who are already at risk for suicide due to depression or other mental health issues are bullied, the results can be disastrous. Even relatively well-adjusted kids that are bullied can become depressed and contemplate suicide. So the possibility of suicide must be considered when a child is bullied. Nearly one-quarter of tenth graders who reported being bullied also reported having made a suicide attempt in the past 12 months, according to a Washington State Healthy Youth Survey. Half of the 12th graders who reported being bullied also reported feeling sad and hopeless almost every day for two weeks in a row, according to the Washington State Healthy Youth Survey. Among 15- to 24-year-olds, suicide is one of the leading causes of death, according to Suicide Awareness Voices for Education. Additionally, 16 percent of students consider suicide; 13 percent create a plan, and 8 percent have made a serious attempt. Cyberbullying caused kids to consider suicide more than traditional bullying according to a study in JAMA Pediatrics. Know the signs of bullying. One of the best ways to spot bullying in your children's lives is watching their moods. If they are suddenly anxious, stressed or indicating that they hate school, take notice. Also, pay attention if they say that there's a lot of drama at school or that they have no friends. Other signs of bullying include complaining of headaches and stomachaches, skipping school, losing possessions and slipping grades. Know the signs of depression. 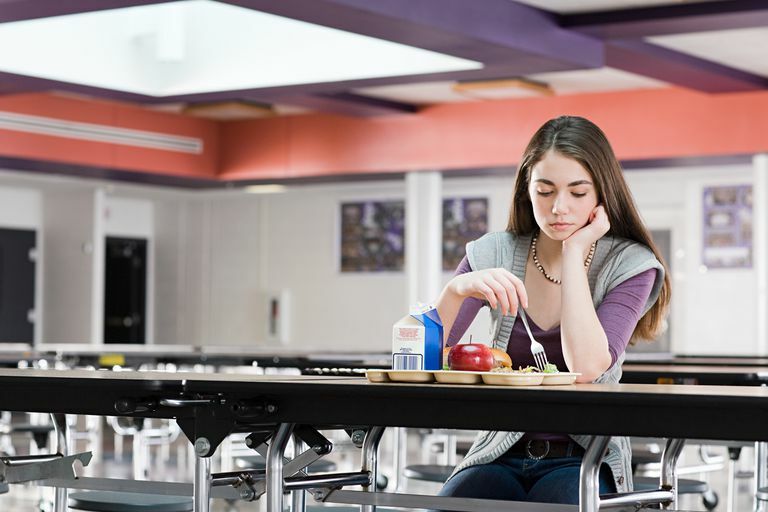 Symptoms like dropping grades, losing interest in favorite activities, withdrawing socially and sleeping more or less than normal are all signs that a person may be depressed. Unexplained excessive crying also indicates that depression may be a problem. Being excessively angry also can be a sign of depression. Know the signs of suicide. People who are contemplating suicide may become moody, appear hopeless and experience changes in personality. Sometimes suicidal people will cut off contact with other people and lose interest in activities. Or, they may start to clean out things, throwing or giving away once treasured items. They also might visit old friends and make the rounds to family members. If you notice any signs of suicidal thoughts, you need to question what is going on. Don’t delay in taking action. Help your child overcome bullying. One of the best ways to help your child overcome bullying is to make sure your child is comfortable talking with you. You also should make a commitment to help them resolve the issue. Follow up with the school until the issue is addressed. The process of overcoming bullying is long. So you need to be committed to the process. There will be good days and bad days. But make sure your child has access to the resources he needs to talk about his feelings and cope with what is happening. Also, be sure to stay in close contact with school personnel. Bullying often escalates over time and often doesn't disappear without consistent intervention. Have your child assessed and treated for depression. Anytime you suspect that your child is depressed or considering suicide, it is best to have him assessed by his doctor or mental health professional. Getting treatment for depression is the best option for recovery. Even if you do not think your child is depressed, you may want to talk to a healthcare professional. Bullying has significant consequences and if it is ongoing can have a lasting impact. Don't ignore threats of suicide. Although not every child will threaten suicide before actually doing it, some do. So take notice anytime someone mentions taking his or her own life. Even if the person threatening suicide has no intention of following through, this is a very real cry for help and should never be ignored. Allow your child the opportunity to talk with a counselor and avoid leaving him alone for long periods of time.